Travel from Sihanoukville to Mondulkiri can easily be done in one day using two minivans with a change at Phnom Penh. In only one day you can move from the beaches of western Cambodia to the hills and forests of eastern Cambodia. We recommend you catch an early minivan from Sihanoukville to Phnom Penh. If you use a company that also does the trip from Phnom Penh to Mondulkiri you wont need to change bus stations in Phnom Penh. Virak Buntham is one such company. To book a minivan from Sihanoukville to Phnom Penh online please click on this link. Before you depart from Sihanoukville to Mondulkiri we recommend you book your one or two day elephant tour with the award winning Mondulkiri Project. Click on this link to go to the homepage of their website. The Mondulkiri Project’s one day elephant tour is a day visit to their elephant sanctuary to feed and walk with their 5 rescued elephants. 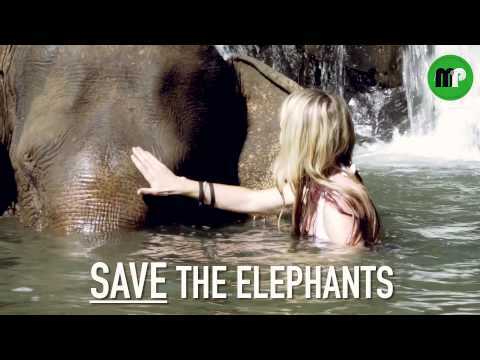 In the afternoon you will get the opportunity to swim at their waterfall and wash three elephants there. Lunch is provided at their lodge in the jungle. Tour price is $50usd.